Despite a directive from Iowa’s utility regulator to develop a new tariff likely to foster more distributed generation, one of the state’s largest utilities once again has offered up a plan that appears likely to achieve the opposite. Josh Mandelbaum, a lawyer with the Environmental Law & Policy Center, has closely followed the utilities board’s three-year study of its policy towards distributed generation, and has scrutinized Alliant’s latest submission. “It’s clear that it will have some impact, and we will have less solar than we would have under the continuation of the existing tariff,” he said. However, he added, the latest incarnation is an improvement over the previous version, which was filed with the board on Feb. 17. After nearly three years of gathering information and extensive feedback from Iowans about the best regulatory treatment of distributed generation, the board in 2015 told the state’s two major utilities to develop tariffs to be implemented on an experimental basis for three years. 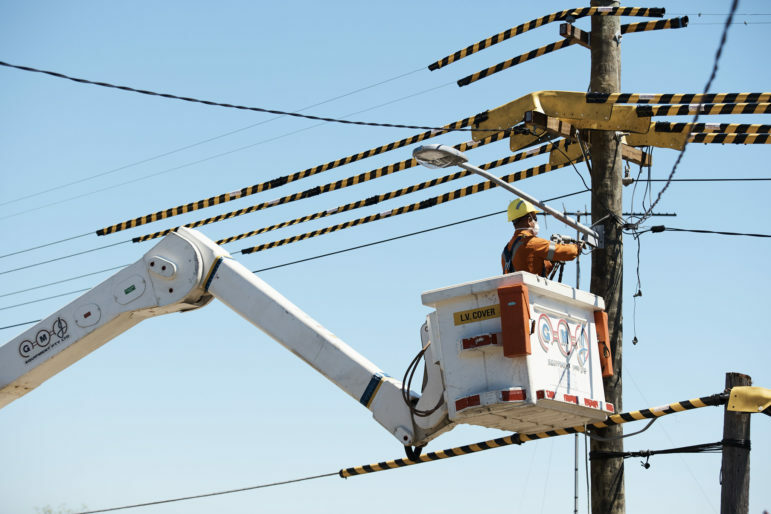 It also urged the state’s many rural electric cooperatives and municipal utilities to devise such experimental tariffs, but none of them has proposed anything, according to a board spokesman. The board later established a few parameters for the experimental tariffs. They would have to increase the net metering cap from 500 kilowatts to one megawatt, would apply to all customer classes and would allow customers to be paid once a year at Alliant’s avoided-cost rate for excess production. Both utilities opted to add features that garnered praise from some clean-energy promoters. Both tariffs will put net-metering caps in terms of AC rather than DC, which effectively raises the cap by something like 10 percent. Also, both pilots will give net-metering customers the option of starting their yearly clock in early spring, an advantageous time of year. At the end of the three-year experiment, the board will evaluate the results, then decide whether to retain the pilot tariffs permanently. Although Alliant and MidAmerican took largely similar approaches to their new tariffs, they did diverge in one significant respect: the way in which the utilities proposed to calculate a cap on the amount of net metering allowed for each customer. MidAmerican proposed to allow customers to net meter their total annual electricity usage, but no more than 1 MW. Alliant proposed basing its net metering cap on demand. But because Alliant doesn’t generally record demand for residential customers or general-service customers, it would need to use an average demand for a given class of customers. Mandelbaum and Baer and others objected to that approach, claiming it is unnecessarily complicated, not transparent, and not fair to at least some customers to, in essence, base their net metering cap on someone else’s electricity use. They asked Alliant to add some information to the tariff it filed on Feb. 17. The additions did provide some more clarity on how the utility plans to treat solar customers. For example, Alliant calculated that it would allow a customer using 12,000 kilowatt hours annually to install a 7.2-kW system. The current formula, about to be displaced, would allow a system closer to 9 or 10 kW, Baer said. But ambiguity about some important matters remains, according to Mandelbaum. For example, he said it appears that any customer without historical usage data – which could include any new construction, and the new owner of an existing structure – would not be able to net meter immediately. They would have to accumulate a year of bill history before installing solar panels. And that could make a project financially untenable if, for example, Iowa’s production tax credit expires at the end of 2017, unless the legislature acts in the next couple months to extend it. “It seems they’re essentially killing the market for putting solar into new construction,” Mandelbaum said. Mandelbaum said it also is unclear whether Alliant would apply a cap on net metering once a year, or once a month. A cap applied at the end of every month would impose much greater constraints than one applied once a year, he said. Questions remain, and Mandelbaum and Baer said they intend to pursue answers. 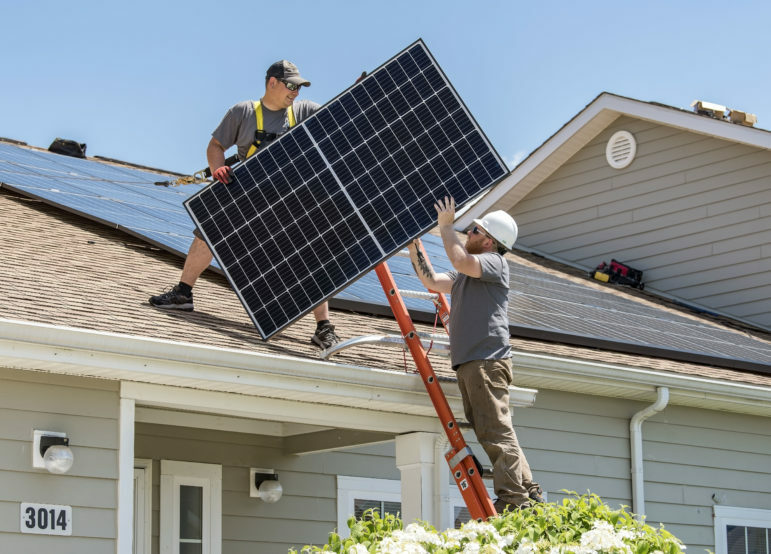 Also, they are continuing to consult with solar installers in the state in search of a better estimate of just how much more limiting the latest proposed Alliant tariff is likely to be for the utility’s approximately half-million customers.